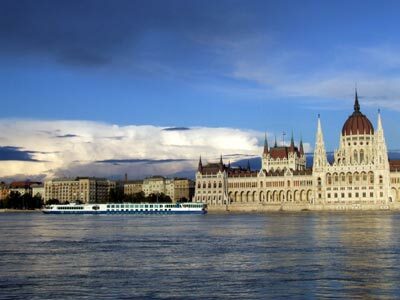 Budapest, the capital and the largest city of Hungary, is one of Europe’s most popular cities. This beautiful city is the eighth largest in the European Union with a population of 1.74 million and covers an area of 525 square kilometres. Located on both banks of the River Danube, Budapest is a commercial, industrial, political and cultural centre of Hungary. The city is full of beautiful sites and is a great place to spend a memorable vacation. Budapest car rental is a must to see all the wonderful sights that this city has to offer. There are a number of hotels and apartments in the city, which offer great accommodation facilities and excellent hospitality services to their guests. The various streets of the city are a paradise for shopaholics and provide a great environment for shopping. The restaurants of Budapest are quite famous throughout Europe for serving delicious food. The major attractions of Budapest include Váci Street, St Stephens Basilica, Fisherman’s Bastion, Castle Hill, the Central Market, Hero’s Square, the House of Terror, the Opera House and many others. Car hire is the best option for sightseeing in this beautiful Hungarian city for those who want to make the most of every moment. Andrássy út is a famous road in Budapest, which offers some panoramic views of the Hungarian State Opera House and connects Heroes' Square and City Park. Váci Street is an important street of the city where you can do a lot of shopping for gifts and souvenirs. You can also see some historical buildings while walking down the street. St Stephens Basilica is a beautiful building designed in a neo-classical style. It is known for fantastic carvings, chapels, frescoes and variegated marble. The Central Market is also among the most visited places of Budapest, where you can purchase all manner of things. The Central Synagogue, the largest Synagogue in Europe and Asia, is a great place to visit. This huge synagogue can accommodate some 3000 worshipers and is a beautiful example of the Moorish design of North Africa and Spain. The House of Terror is a museum famous for its huge collection of artefacts related to the Fascist and Communist Dictatorial Regimes. The Hungarian State Opera House, built in neo-Renaissance style, is counted among the most beautiful opera houses of the world. The Rudas Baths, the Statue Park and Vorosmarty Ter are few other notable attractions of Budapest. The low cost and convenience of car rental is a must for tourists to the city. Most major car rental agents in Budapest offer one way rentals. One-way rental is when you collect the car in one place and return the car in another location. In most cases the car rental agent will charge an extra fee if you wish to return the vehicle at a different location. In the terms and conditions will state if the one-way fee is included in the rental price. If the one-way charge is not included in the rental price, the one way charge needs to be paid on arrival directly to the car rental agent. Rentalcargroup is a price comparison website for all mayor and smaller car rental companies in Budapest which means we can offer you the best car rental deals. Please be advised that prices and car availability constantly changes, therefore the longer you wait with reserving your car, the more expensive it gets. Rentalcargroup.com offers car rental in more than 35000 locations, at all major airports and cities and railway stations. Below on this page you see a map with all the car rental companies we work with in Budapest. The best way to discover Budapest is by renting a car. Renting a car is easy and affordable way of transportation. With your rent a car you can explore the beautiful surroundings of Budapest. Rentalcargroup.com works with numerous rent a car companies in Budapest. Last month, the average car rental length in Budapest was 5 days. The average rental car length in Budapest is 4 days. The most booked rental car type currently in Budapest is ECONOMY cars. Last year, the most booked rental car type in Budapest were MINI cars. How much does it cost to rent a car in Budapest? Last month, the average car rental price was 168 USD. Last year, how much did it cost to rent a car in Budapest? Last year, the average car rental price was 186 USD. What is the current average daily price to rent a in Budapest? Last month, the average rental price was 31 USD per day. How much did it cost to rent a car in Budapest over the past 12 months? Last Year, the average rental price was 42 USD per day. The car rental companies available in Budapest are: Schiller Rent, Fox. See below last 5 customer reviews. Our customers rated Budapest Car Rental with an average of 8.67 based on 3 ratings. My overall experience was good in that the vehicle provided was new, reliable and clean. i was confused by the invoice at the rental office, however. i would have appreciated it if the representative would have reviewed it with me. i ended up paying more than what i had intended.